Mark Pincus was chased out of some of the best companies in America, before building his own. 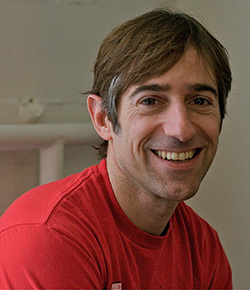 Pincus is the founder and CEO of Zynga, creators of online games FarmVille and Mafia Wars. Here, Pincus talks about why a company’s strength comes from its culture, and why everybody should think like an entrepreneur. Mark Pincus was chased out of some of the best companies in America. Now he’s trying to build a better one. 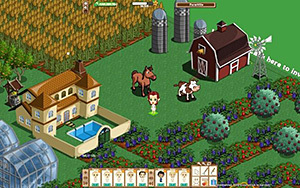 Pincus is the founder and CEO of Zynga, an online game company that attracts more than 200 million gameplayers per month for applications such as FarmVille, FrontierVille, and Mafia Wars. In this Q&A, Pincus talks about why a company’s strength comes from the inclusiveness of its culture, why everybody should think like an entrepreneur, and why you should quit whining about resources and start prioritizing ruthlessly. Kermit Pattison: Zynga has grown to more than 1,000 people in three years and that means you have to delegate more to managers. What do you look for when you hire people? Mark Pincus: In all managers, I’m looking for a combination of three attributes. One, I want to see that they can be an entrepreneur. Especially as your company gets bigger, you value people who can drive toward an outcome and are good at creative problem solving. They’re going to be resourceful and not just delegate and organize other people. They need to drive the outcome and train and teach people. Secondly, they have to be a good manager of people and projects and that means they have to have a high EQ. The more you can be self-aware and honest about yourself, the more you can cultivate that in other people. We really value humility. I find that more humble managers are more open to people and ideas and are more approachable. The third thing is domain expertise. We want to see some passion, skills, and chops in consumer products, specifically web user experience and game user experience. We really value people at all levels of the company who can come in and really connect with our end users. One of the most important things a manager can do on weekly basis is ruthlessly focus on prioritization. There’s never any lack of good ideas. Every team has 10 great ideas they’re really excited about. The problem is picking which of the 2 or 3 to focus on. The lesson we get over and over again is a small number of features really connect with the users and get explosive results. You actually have diminishing returns with more features. When you’re picking the right features to go deep on, the user starts to have this trust and expectation that the next thing you bring out is going to be great. No matter how big or how small your company is, you are always resource constrained. If you talk to Microsoft, or Google, or Yahoo–the biggest companies with the most engineers–every product manager will say they’re resource constrained. If they just could have twice the people, they could get everything done. No matter where you are, you have to be ruthless about how you’re using people. Zynga is known for your philosophy of making everybody the CEO of something. What does that mean? You once said you were kicked out of some of the best companies in America. How did your early career shape how you manage people today? We all write these stories for ourselves. My story was great entrepreneurs aren’t employable and they’re iconoclasts and mavericks with no respect for authority. That characterized my early days as an entrepreneur. It kind of worked for me, but I think it was oversimplifying the world. My thinking has evolved. What I’ve learned since then is you can be an entrepreneur inside any size company. The best companies today value great entrepreneurs and work hard to retain them and motivate them. The big learning for me over the last 15 years is you want to create companies that a lot of kinds of people, personality types, and skill sets can thrive in. It’s more about creating a positive culture. The strength of your company is how wide a variety of people can be successful in it. Have any former bosses been a formative influence in your career? In my early career, there were more negative lessons than positive ones. But I don’t think I was looking for the positives enough. In my early career, I was more brash and anti-authority. I worked at some places that were very structured environments. In the last five years, I’ve had a real hunger and curiosity about management. I’ve had the opportunity to interact with some world class CEOs like Jeff Bezos and sit down and ask him detailed questions: What does his calendar look like? How often does he meet with direct reports? Does he meet with them singly or as teams? I learned a lot interacting with John Doerr and the people at Google. I’m really interested in how great modern era companies are run. What’s your vision for Zynga? I say to people when they first join us, if you’re going to make the sacrifice and be away from your family and other fun things you can do, let’s make it count. At the end of the day, it’s not how much money the company made or what its worth. It’s your pride of what you put out in the world. I want us all to work on products that matter in people’s lives. I know social games have been called silly or meaningless, but we think the potential of social games is to enhance relationships. We want to build an Internet treasure. If we can do that, this will be a special place and opportunity for everyone who came to work here. The perks at Zynga are very generous–full health benefits, unlimited vacation, free meals prepared by a culinary staff, massage onsite, acupuncture, bring dog to work day. What’s underlying goal? We want to build a great community, first and foremost. The food program I don’t even think about as a perk. From early on, food was important to me. I really like great food and I really like healthy food. It bugged me that the VCs lived and ate better than the startups. I wanted my team to live and eat as well as the VCs we visit. I started to realize that from a productivity standpoint good food has a multiplier effect. You waste time trying to find food everyday. You feel crappy about a lot of the food you eat. There are positives about building community–food brings people together. If have enough good food in one place, it gives people from different parts of the company reason to sit down together. We know people are working a lot. We put in late nights and weekends. We just wanted to do everything we could to make other parts of their lives easier. Dry cleaning or having a dentist come to the office–it just started with me wanting to help out the engineers. You and your wife recently had twins and you’re taking some time off. Is your company at a point where you can turn your back and be confident things will be operating well without you? Oh yeah. It’s interesting how the growth of the company and management culture has dovetailed with my personal life. The first time the company really hit a positive inflection point from a management point of view was when I went on my honeymoon. We went on a two week honeymoon and that was the first vacation I had taken since starting the company. I checked out and said to the team, “go for it.” I came back and they had hired 25 or 30 people and had launched Mafia Wars on MySpace. It gave other people room to grow and a bunch of people leveled up. Now with the babies I had to step back again. It creates more space for everyone else to step in and figure out things on their own. One of the hardest things as a CEO is resisting the desire to solve problems. So many of the problems you face feel strategic and are strategic to delivering your outcome. You’re probably the most experienced person. You’ve been solving those problems so you’re the most qualified person to come in and do it. But then you don’t build up those management muscles. It’s hard, but it’s rewarding when you do take the chance and bet on other people to solve it. The whole organization levels up.